Let’s be honest, who has the time or the money to glam up their house. I have THE PERFECT thing for you: in one hour, and for $15, you can make a moon-phase wall hanging. If you’re anything like me, I think you’ll understand that as much as I want to have the cutest boho-chic bedroom— I can’t really justify spending $50 or more on just one piece of decoration. Don’t get me wrong, I believe in investment pieces, but if I can make the same thing for way less…why not? Plus extra points for being a Pinterest gal. 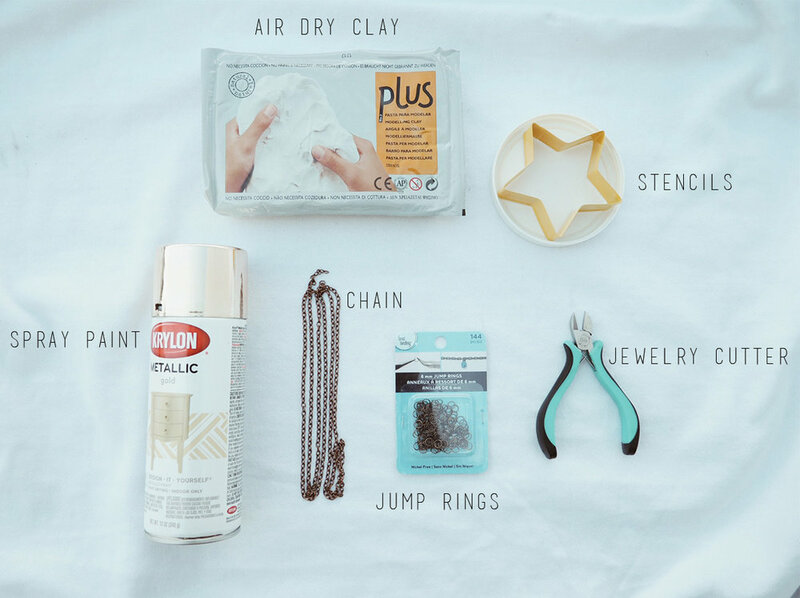 This DIY Celestial Wall Hanging will be the perfect addition to your bedroom that needs a little boho spice. I got all the supplies from Michael's because they ALWAYS have coupons on their app! After gathering the materials, portion off a chunk of clay. Roll it out using a rolling pin, or you can be a true Pinterest DIY-er and use the the side of your mug, the spray paint can, etc., and make it a uniform thickness. Use the different shaped cutters (or mugs) to begin making the moon phases! Once you punch out the portion of the circle for these crescent moons, use the same size cutter and offset it from the center to create this curved shape. Puncture small holes (using a pen/toothpick/etc) at the top and the bottoms of each shape and let them DRY. Next, spray paint the shapes and allow these to dry as well. It should only take a few minutes to dry! Connect the chains and the jump hooks to the holes you made in your shapes // follow the pattern you want but I pictured my final project if you want some inspo!! Hope this gave you guys a little DIY home inspo to glam up your pad on a budget!